2016: 3 races 20,000 metres completed. 2013: 4 races 16,000 metres completed. 2012: 4 races 14,000 metres completed. 2011: 3 races 13,000 metres completed. 2010: 7 races 25,200 metres completed. 2009: 9 races 36,000 metres completed. 2008: 8 races 31,000 metres completed. 2007: 8 races 34,000 metres completed. 2006: 7 races 34,000 metres completed. 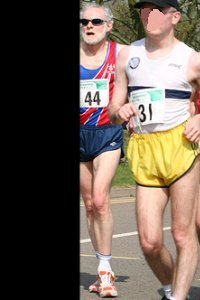 2005: 7 races 44,000 metres completed.